God’s miraculous answer to the boy’s prayer put his parents to shame in Spain. Nine-year-old David Lucas Dolete Druga had many questions. Father had taught David that God created people, but the boy was hearing other ideas at public school in Spain’s capital, Madrid. Father was happy when the family left Madrid so he could study to become a pastor at Sagunto Adventist College in Sagunto, located 240 miles (385 kilometers) to the east and near the Mediterranean Sea. On the campus of Sagunto Adventist College was an elementary school where David could learn about Creation from the Bible. But a month before the school year started, Father learned that there was no space for David in the fourth-grade class. Many parents had already put the names of their children on a waiting list for the fourth grade, and David was way down at No. 13 on the list. “Let’s pray about it,” Father said. At evening family worship, Father, Mother, and David prayed that David would somehow be allowed to attend the Adventist school. They prayed every day for a month. But then the school principal told Father the bad news. David enrolled in public school. But the family didn’t give up. During family worship, Father, Mother, and David kept praying that the boy would be able to go to the Adventist school. A month passed. Then two months passed. Mother stopped praying about the school. Father also stopped praying. Father was worried. He didn’t want David to be disappointed. But David kept praying. Another month passed. 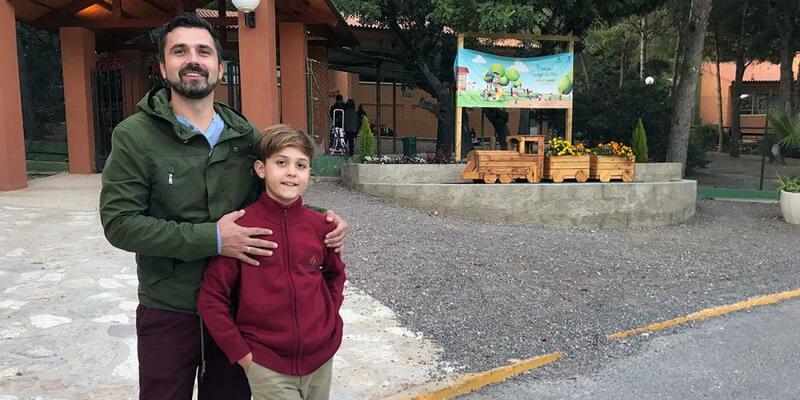 Four months into the school year, Father received the unexpected news that a fourth grader had left the Adventist school. He rushed to the principal’s office to ask whether David could join the class. Father and Mother decided to try anyway, but they drove to the city education office with little faith. Forty minutes later, they were holding the transfer paper in their hand. Father and Mother couldn’t believe it. As the left the city education office, they stopped to praise God in prayer. David was at home when Father and Mother arrived. A huge smile filled David’s face and jumped all around the house with joy. David bowed his head and prayed. Opening his eyes, he turned to Father. “Do you want to play soccer with me?” he asked. Today, David goes to school just a few steps from the seminary classrooms where Father is studying to become a pastor at Sagunto Adventist College. Part of the Thirteenth Sabbath Offering in first quarter 2020 will help construct a new seminary building with a special Creation museum for the schoolchildren. For a PDF of helpful facts and other activities from the Inter-European Division, click here: EUD Fast Facts.pdf. ​Adventist Leaders Get in Shape in Jamaica Global Leadership Summit makes the church’s health message practical. 3 Brushes With Demons and Death in Finland A light figure entered the room and chased out the dark figure.